Intuitive, graphical, interactive, PowerScope is a Saas Platform specially designed to enable networkers, business developers, key accounts managers and big deals managers to manage influence networks, value the relationship capital of their organization, establish a relationship strategy for a specific purpose or have a real lobbying efficiency in complex deals. 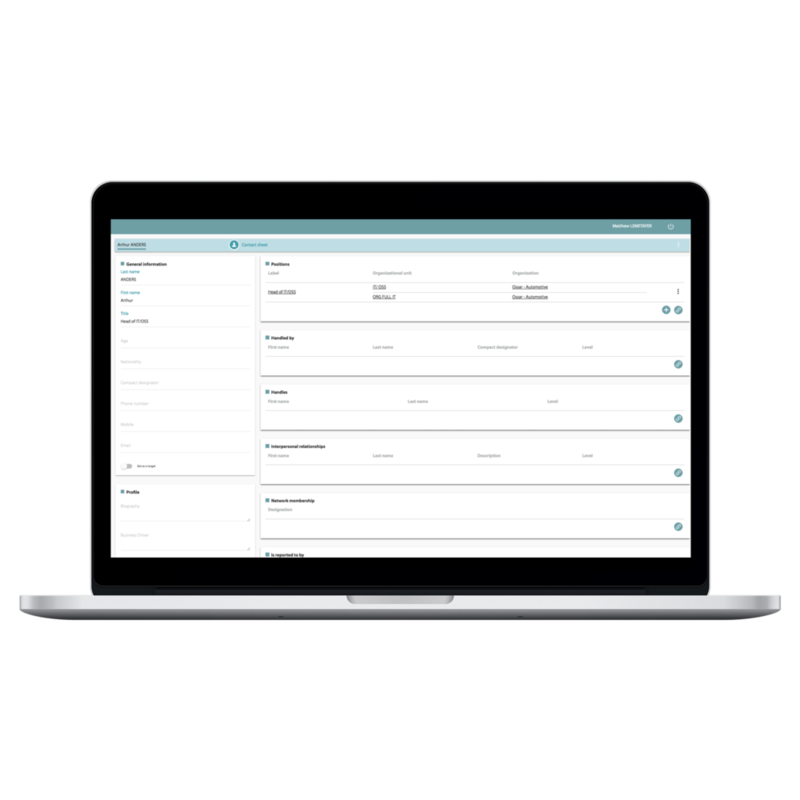 Through our built-in Salesforce API, get finally the best you can expect from your CRM ! Manage interpersonal relationships, power, organisational structures, "who-knows-whom"
Powerscope manages all your key contacts with all of their relationships (interpersonal, hierarchical, functional links, alumni, clubs...) and relevant informations (biography, career, inclinations, business drivers...). 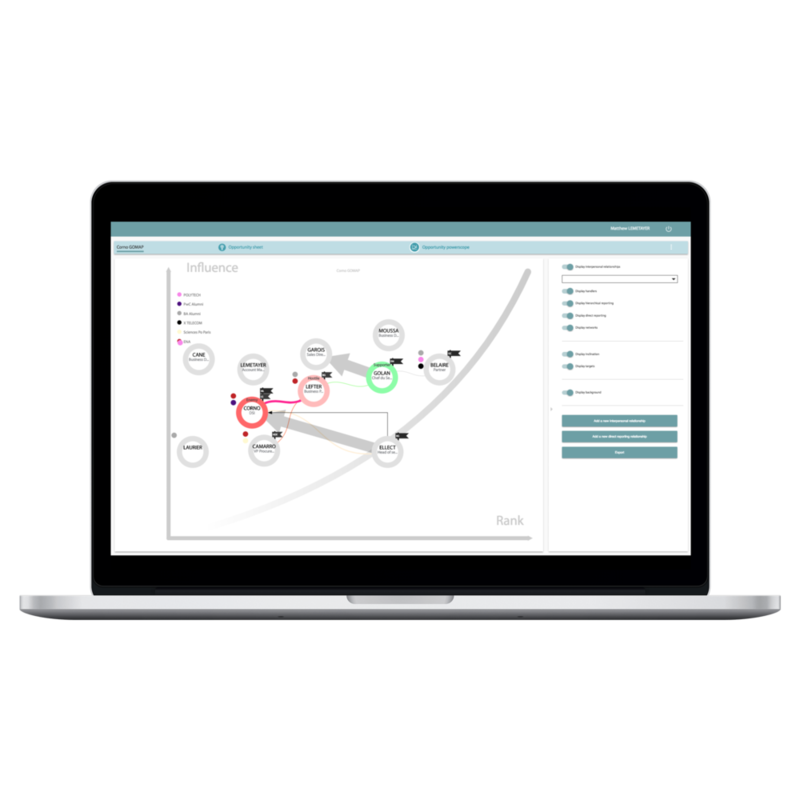 Graphical and interactive, Powerscope allows you to analyse, map and visualize influence networks and decision-making stakeholders for a specific opportunity or a key account. The Powermap shows all types of relationships, inclinations, reporting, networks in a Rank/Influence graph. 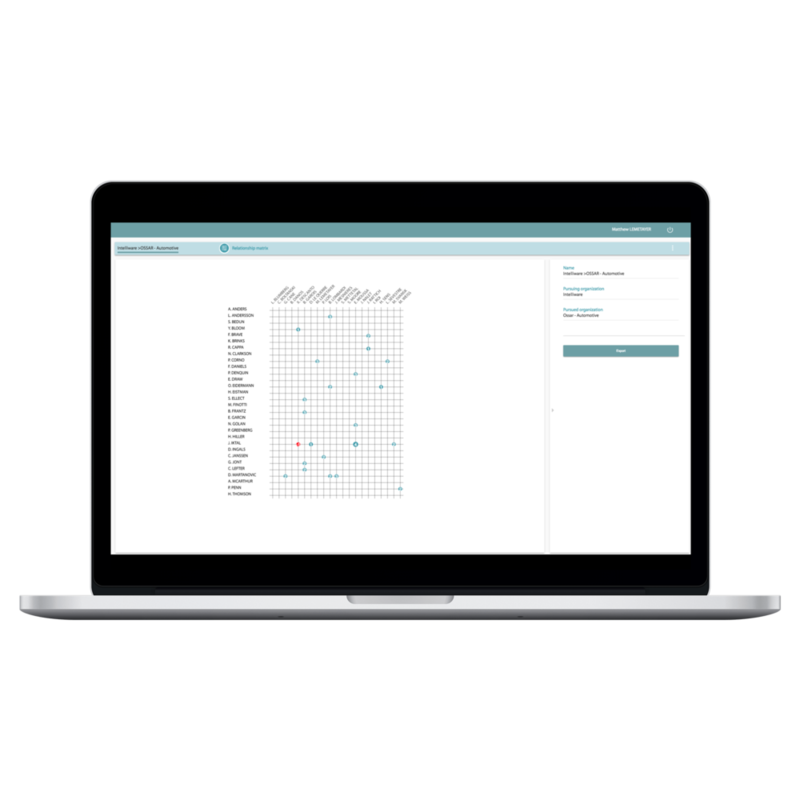 Powerscope displays automatic and interactive relationship matrix, automatically generated from the data in the whole system. It shows who (in your team) knows whom (client teams) and with which intensity. 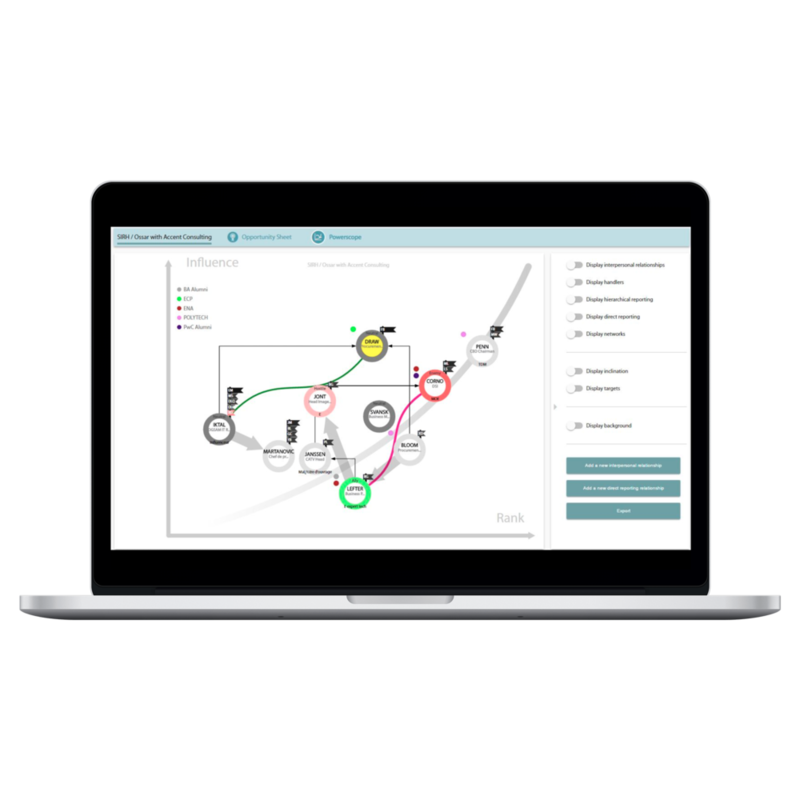 Structure & organizational charts automatically generated by Powerscope enable you to visualize and understand how power and influence really work in targeted organizations.